Since my last post, I have received several requests to re-post the photo of Baby Ruff. Baby Ruff is so named because of the hard life she has endured. 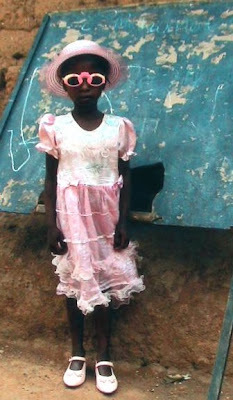 The above adorable photo endeared her to us as she poses in her tattered dress, hat & sun glasses. It is amazing to see her now in a NHA School uniform...scroll down to previous post..